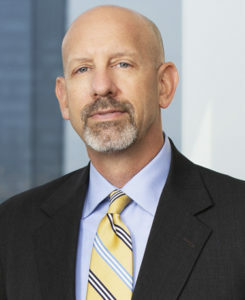 John T. A. Rosenthal has joined the Klinedinst Los Angeles office as Senior Counsel. An experienced business attorney, Mr. Rosenthal brings his legal skills to the firm’s Business and Commercial Litigation, Intellectual Property, and Professional Liability groups. LOS ANGELES, CALIFORNIA – Klinedinst is pleased to announce John T. A. Rosenthal has joined the Los Angeles office as Senior Counsel. Mr. Rosenthal began his career in 2000 as a litigator for a large firm in California. He then moved to New York and continued practicing in Manhattan for the same large firm. He joins Klinedinst after a successful career at a boutique business law firm in White Plains, New York. Mr. Rosenthal has significant experience in representing clients in a wide variety of litigation matters in state and federal courts across the country, as well as before various regulatory bodies, including the U.S. Patent and Trademark Office (USPTO), the U.S. Copyright Office, and the Federal Trade Commission (FTC). An accomplished speaker, Mr. Rosenthal has assisted clients in developing, managing, protecting and leveraging their intellectual property portfolios, including the negotiation and crafting of license agreements. In addition to being licensed in California, Mr. Rosenthal is licensed in New York, and was selected for inclusion in New York Metro Super Lawyers® from 2013 to 2018.